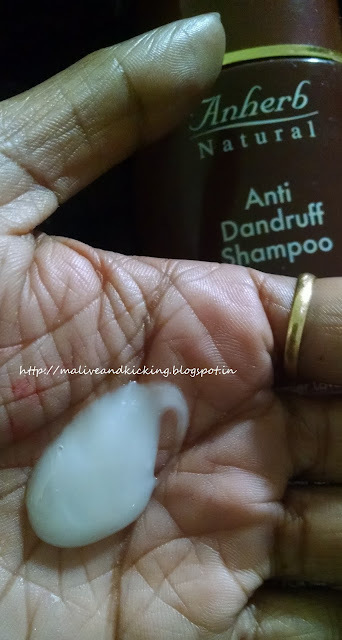 Facing issue of hair dandruff due to winters season ? 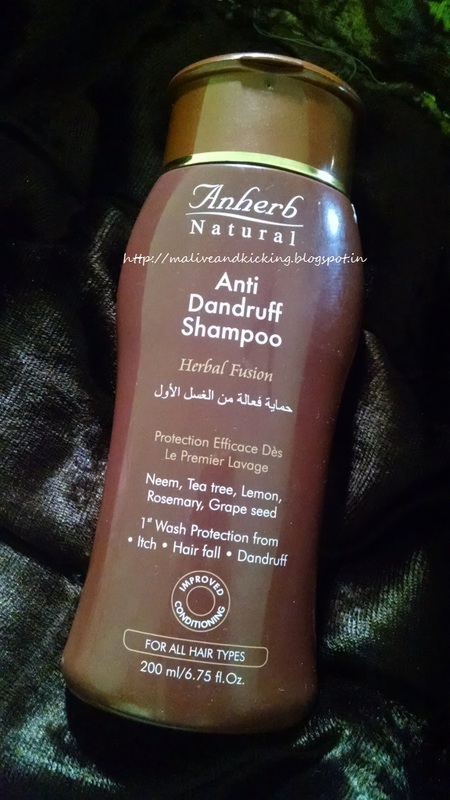 Do check if Anherb Anti Dandruff Shampoo can aid you ..
Clinical trials proved that it effectively controls dandruff. Controls itching & minor scalp infection. Leaves your hair & scalp healthy & moisturized thereby gives a beautiful look to hair. Ingredients: Neem, Tea tree, Lemon, Rosemary, Grapeseed. 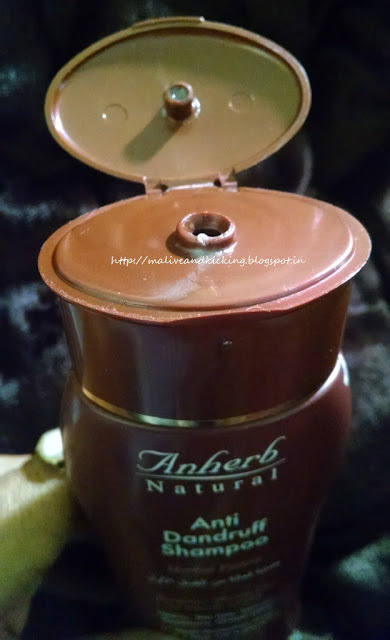 Neem: Effective anti dandruff, anti lice & anti septic. Tea Tree: Effective antiseptic & anti dandruff agent. Rosemary: Effective against dandruff & scalp infection. Grape Seed: Effective anti dandruff & anti itching. How did the product fare? Looking at the packaging of Anherb anti dandruff shampoo, I misunderstood that the brand sent me two bottles of same product. 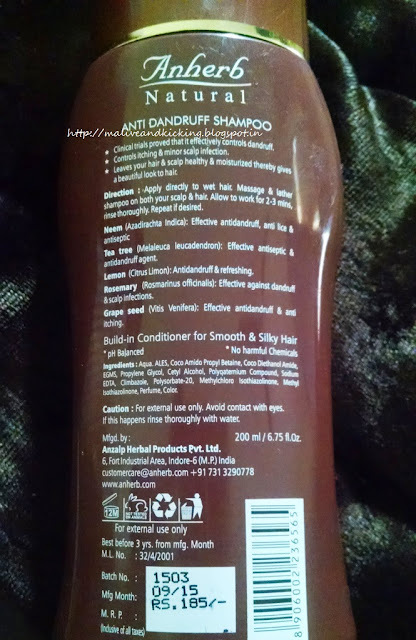 But a careful glance at the bottles made it clear that one of them was Anherb Natural Olive Hair shampoo to be used in routine and the other one is for specific need for curing the dandruff problem from your scalp. The reason of this misunderstanding is the similar dark brown colored plastic bottle with minor changes. The bottle of anti dandruff shampoo is not transparent while the other one is. The flip open cap is quite tight and won't cause spill if fallen by mistake. The shampoo itself is of white color and is one of the thickest shampoo used by me over past months. Its dense consistency makes you bang it on your palm twice or thrice to get the product on your hand. The shampoo smells reasonably good without any strong scents and the smell hardly lingers on after the rinse off. It needs quite an extra quantity of the shampoo to generate enough lather. On my long hair length, I have to use around three times the normal quantity of required amount to work up good foam to get my hair and scalp clean. For shorter hair, particularly for boys/men, its ok to have usual quantity. Coming to its claims of reducing dandruff, it seem to fulfill its commitment if dry dandruff is your culprit, but may not stand by your expectation if oily dandruff is gripping hard on your scalp. The plus of the shampoo is that it doesn't dry up your hair length and keeps the scalp non-itchy. Thanks to neem, tea tree, lemon etc that prove its worth. To sum up, the Anherb anti dandruff shampoo is reasonably useful product to maintain hydrated, non-itchy scalp with clean tresses provided you are ready to use relative larger portion of product in every use. For better result, I recommend massaging your hair with an anti-dandruff oil before the head bath and compliment it with a soothing conditioner to wave goodbye to visible flakes. It took me some time to get what u said UK 👻 but ur family needs shampoo n hair care products for sure ;) isn't it? This sounds quite nice. I like that it helps in maintaining a non-itchy scalp.